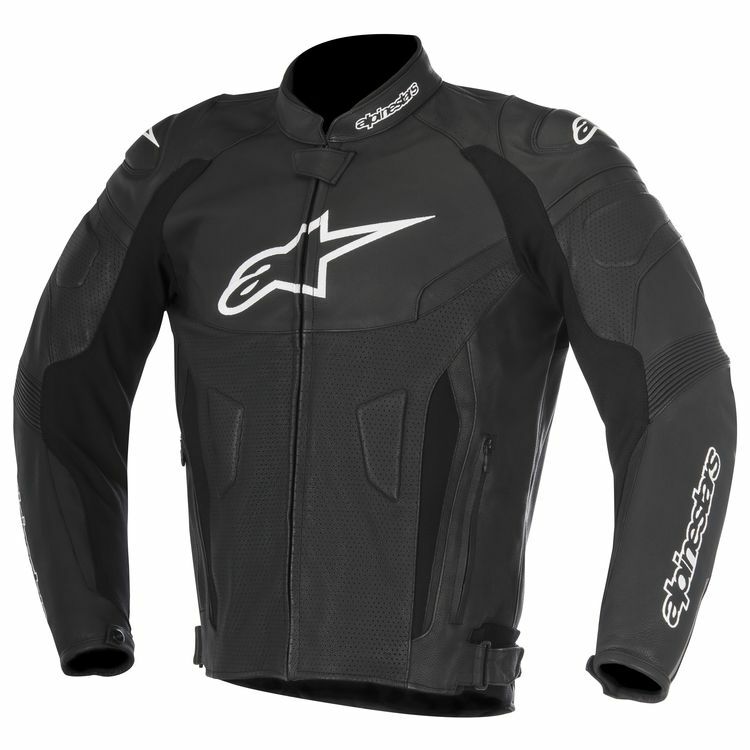 Continually elevating the standards for performance and protection on the track and street alike, Alpinestars’ second installment in the GP Plus R Air Jacket line is no exception. Incorporating more flexible stretch paneling than the original, the GP Plus R V2 affords more riding dexterity and comfort while maintaining the aggressive race-bred fit and function that defines the Alpinestars GP Plus R V2 Air Flow Perforated Leather Jacket . I was in the market for a decent leather jacket offering good protection, utility, and comfort, and this jacket is it. The hard TPU shoulders, CE elbow/foerarm armor offer great penetration aggainst impacts, the strong, thick leather obviously offers unrivaled slide protection. The included flimsy foam back and chest protectors don't add much if any protection, but the very good CE2 nucleon protectors drop right in and fit perfect. They are comfortable and mold to the body, are flexible, and breathe well, stiffen up when taking a hit like D3O, but are thicker and should offer top level protection. The jacket is very comfortable, it has a sporty form, but not overly aggressive, still comfortable walking around, riding upright, or tucked. The stretch pannels are in the perfect spots, they keep it snug, but not tight, allow very good flexibility, and keep the armor in position. It does breathe a bit, and isn't stuffy, but isn't anywhere near breezy, I would say it's good from temps in the 50s to 80s, the mesh liner helps make the most of the airflow it does have. There are no vents to open up, and while this is the"airflow" version, it's only partially perforated with very small holes, fine when moving, but gets hot fast when stopped, so I'll still take my mesh jacket on hot days, I would imagine the non-perf jacket is outright stuffy. It has a good ammount of storage for a sport jacket, waterproof inside chest pocket, 2 inside pockets, 2 outside, all zippers are locking, there is a flap to secure the main zipper. The jacket looks flat awesome, embroidered A-star logos look good(printed only on shoulders) , cool mix of perfed, bellows, solid and embossed leather panels are functional, and give the jacket sporty details. While there are less expensive leather jackets around, this is probably the least expensive "premium" jacket by a top tier manufacturer, and a good value IMO. It is versatile for many styles of riding in different conditions, and I am very happy with mine. I liked my old GP Plus R so much, I bought the new v2 Airflow version. Excellent Quality, Fit is True, Very Comfortable, No need to break in the leather. I also bought the optional Nucleon Back & Chest protectors (Highly Recommend) that fit in the jacket pockets. My only complaint with both jackets, is I don't get enough air flow. Above *80, the jacket comes off, Mesh jacket goes on. But, I do ride a Honda Goldwing F6B, with excellent wind protection. So the jacket will flow more air riding a naked bike. Great jacket, feels like 2nd skin as the clerk advised me to get. 1st jacket for 1st bike(Yam R1), had ridden smaller bikes in the past, but wanted to be safe on the road and this jacket delivers a little assurance. Airflow is decent when moving, of course not so great at stand still in the sun. Gave 4 stars on cost because was a bit more than similar jackets, then again the price on safety and walking away is priceless. Definitely a great jacket.